Happy new year and all of the best for 2014 ! In japan, the new year celebration is called "shogastu" it's a tradition to visit shrine or temple for japanese people. The most popular and famous temple, such as " Fushiminari " shrine or " Yasaka " shrine in Kyoto attract several hundred people during theses days. Specially the first of January called " Hastumode", large temple bells are rung at midnight. If the weather is good in january, many japanese people dress up with kimono to visit temple and pray for safety, health and good fortune for the new year. 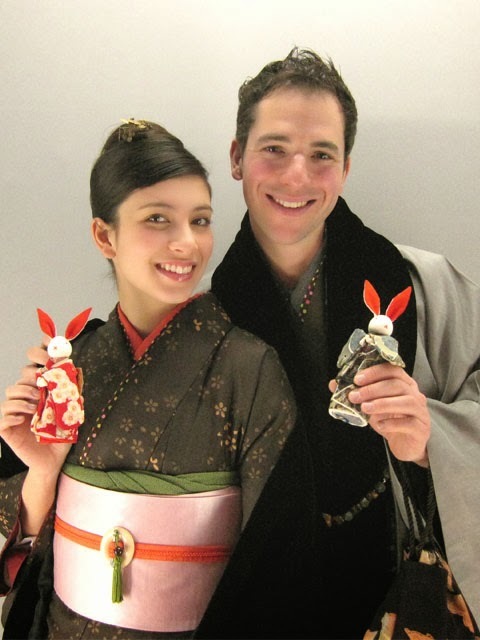 Kimono Rental 41 in Kyoto is waiting you with plenty of colorful kimonos to celebrate the new year ! Please come to visit us !